Chand Baori is a stepwell built in 9th century AD by King Chanda of the Nikumbha Dynasty, who ruled over present day Rajasthan in India. 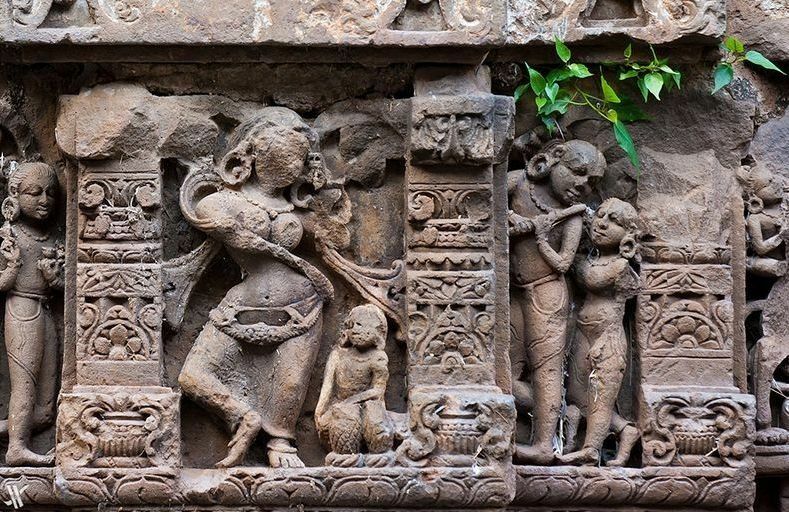 It is situated in the village of Abhaneri near Jaipur city. It is the oldest and biggest step-well in the world. It is built opposite Harshat Mata Temple and upon completion, was dedicated to Hashat Mata, Goddess of Joy and Happiness. Climate in the state of Rajasthan is extremely arid, but mystery remains in how the temperature is maintained 5-6 degrees cooler than at the surface. 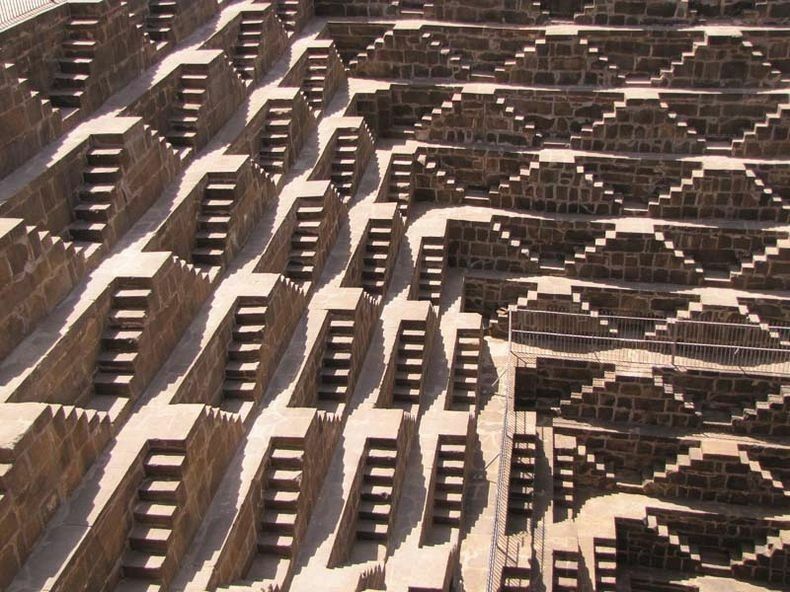 May be, Chand Baori was intended to conserve as much water as possible and it was used as a community gathering place for locals during intense summer days. Baori or Bowdi is the local word used for Well. This incredible square structure is 13 stories deep, and lined along the walls on three sides are double flight of steps. 3,500 narrow steps arranged in perfect symmetry descends to the bottom of the well 20 meters deep to a murky green puddle of water. 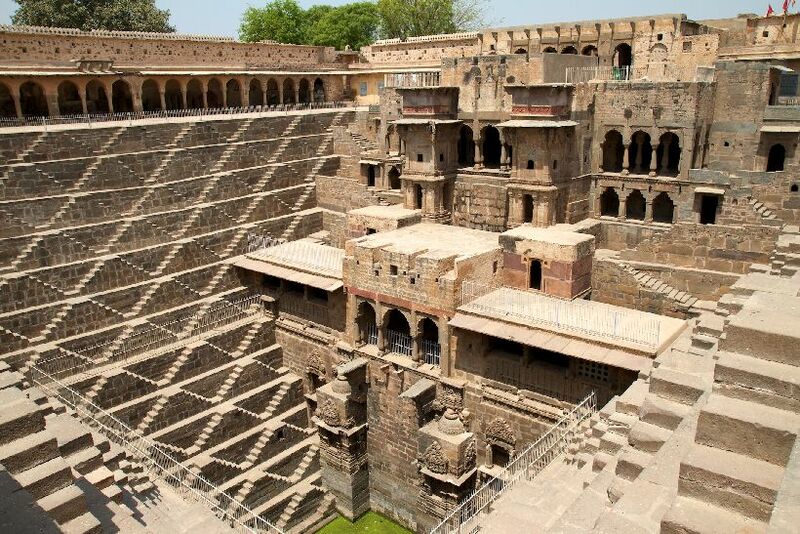 Chand Baori location was featured in the movies The Fall and also in Christopher Nolan’s movie The Dark Knight Rises. Today, this well is managed by the Archeological Survey of India.